flower accessories they are becoming common day by day. It is a form of hair ornamentation. It is used to decorate the hair and serves as a perfect accessory. There are several hair accessories easily available in the market, however, DIY hair accessories can be done at home too. It is a perfect wear for parties and functions and has a very different look. Then we will even such attractive hair accessory unusual flower. Let’s take a look at the step by step procedure to make satin ribbon flowers hair accessories DIY. If you are looking beautiful and easy craft idea for girls then click here to make flower satin ribbon DIY. Take ribbons of yellow and green satin 2.5cm wide. 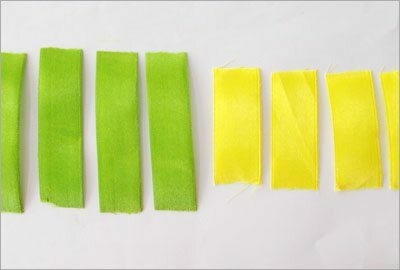 Cut green ribbons into pieces of 9 cm each and yellow in length of 6 cm. Fold these pieces of tape from the center and seal the folded end both yellow and green ribbons using a lighter. Take the yellow petal and seal the edges with a lighter petal. 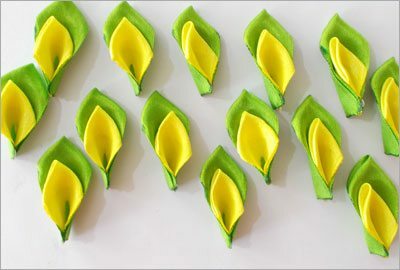 Place the yellow petal inside the green petal, burn and seal the base of green yellow petals with petal. Make several such petals and keep aside. click here to learn how to make flower satin ribbon DIY easy! 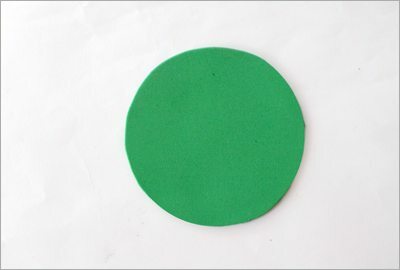 Draw a circle on the green foam sheet. cut this circle and apply glue around the edges. 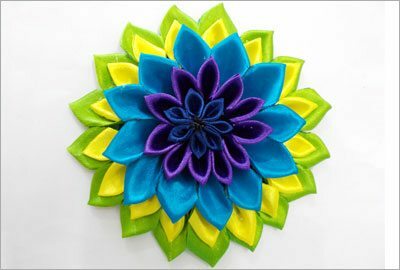 petals Adhere dual colors on the outer edges of the circle. 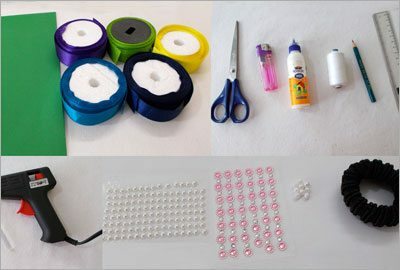 desire to learn and easy craft creative? Here’s an easy guide on how to make butterfly satin ribbon in a few steps. 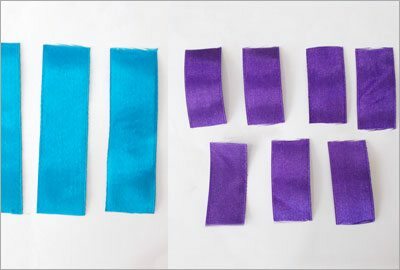 Similarly, blue and purple cut color ribbons length of 9 cm and 5 cm, respectively. 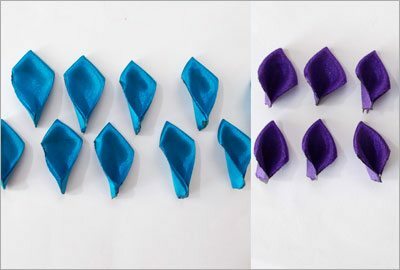 Fold the pieces of blue and purple ribbon to form the petals. Burning the base of the petals to seal. 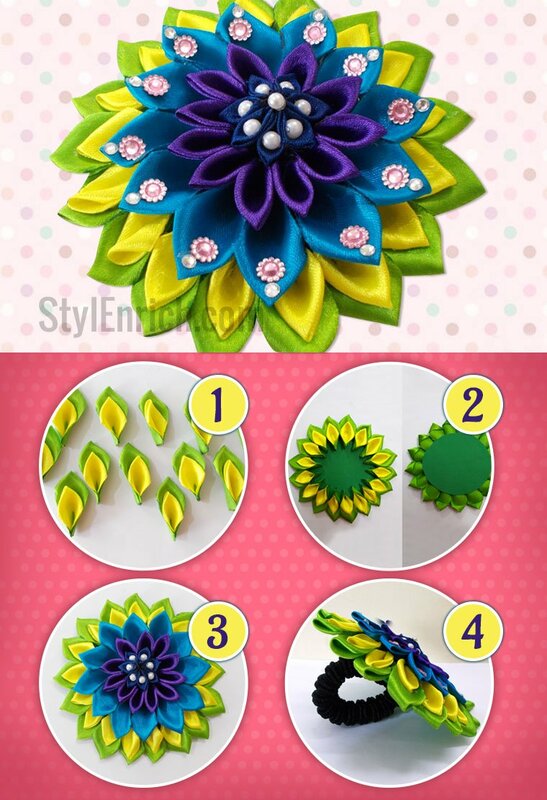 Glue the petals blue petals with dual colors. 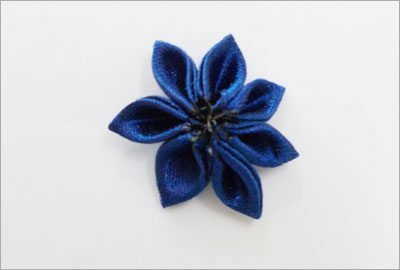 Similarly, organize purple petals on the inside of the blue petals. 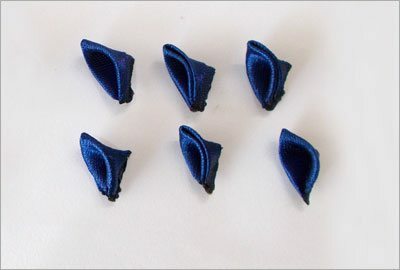 Take the navy blue ribbon and cut into pieces 2.5 cm wide. Fold these pieces into triangles twice. 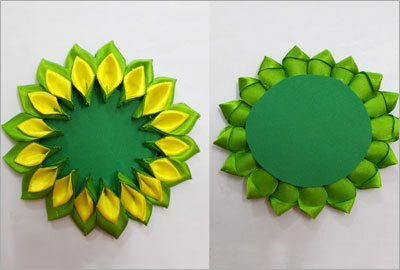 seal the edges of these triangles to make petals. 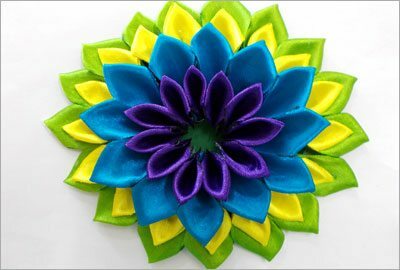 Use a thread and a needle to sew these petals so that it appears like a flower. 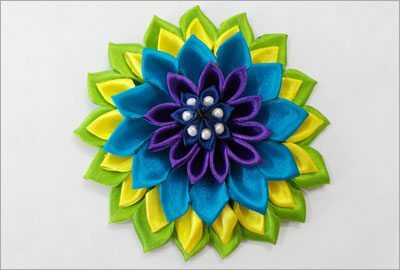 Paste this flower design in the center. More How to make handmade necklace with beads DIY? 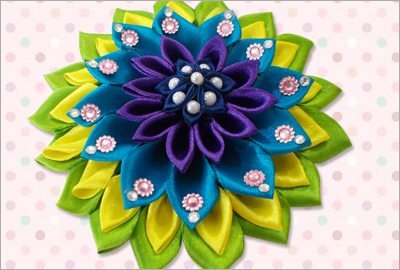 Take the decorative and sew them to each petal of the central flower pearls. Use decorative stones at the base of the flower to decorate them. Related Post: How to Make Easy DIY Paper Gift Bags? Apply glue on the back of the foam paper. Paste the rubber band to the foam base. Her satin flower is now ready for use. It is an accessory of flowers of various colors and has the peacock colors embedded in it. It looks very attractive and has an elegant look. It is easy to make and all the materials used are easily accessible. 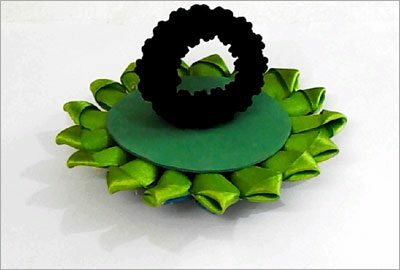 Use this beautiful hair accessory and show your creativity.